Sample Your Concept On Bluemix Now! We are pioneers in delivering services on Apigee platform. We build classic solutions on top of customer legacy infrastructure with the help of Apigee platform to build scalable & secure APIs. Our experts identify your workload demands and recommend the suitable compute mix for your organization. By establishing a secure gateway, we help you to connect your apps to your in-house infrastructure & get more out of it. With Bluemix´s Open Stack storage services, we provide solutions for you data, supporting different cloud environments. Which includes data storage and data analytics solutions on cloud. 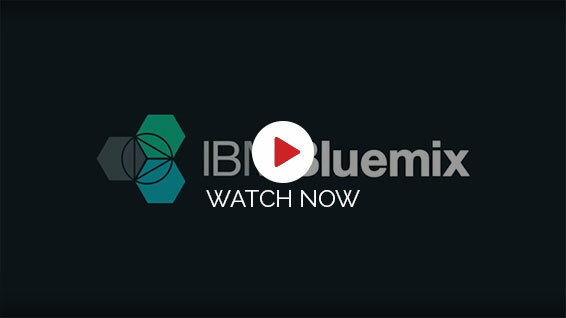 Using Bluemix´s prebuilt connections to data sources, we help you to derive meaningful relationships between data as well as build custom cognitive solutions using IBM Watson on cloud. Bluemix´s integration capability is among the best in the cloud. You can connect data and services, convert them to APIs, and manage them. With policy-based authentication & single sign-on capabilities, you can protect your data and control access. Towards creating new applications real fast, we can help you leverage Bluemix´s application services to build intelligent programs on cloud foundry apps and Managing Kubernetes cluster. With Bluemix´s IoT capability, you can extend your apps and services across devices and integrate them with the cloud.